Gelatin is one of my favorite ingredients to use in the kitchen. It is comprised of a mixture of amino acids that are extracted from animal bones and can be used in so many different ways. Personally, I get gelatin into my diet by means of drinking bone broth and also from Great Lakes. Their gelatin is grassfed and comes in two differen’t types: the red can (which gels) and the green can (which does not and mixes easily into any liquid). Whisk together 1/4 cup of cold water and 1 tablespoon of gelatin powder. Whisk in 1/4 cup of nearly boiling water, it should thin out. Add in 1.5 cups of your favorite liquid (kombucha and strawberry puree are my favorite) and mix well. Pour into a mold(s) and refrigerate for at least two hours. Eating gelatin has been shown to be a major aid in helping with leaky gut. I personally have noticed that when I consume gelatin that my IBS symptoms are much more tamed and my digestive tract runs smoother. I personally feel best when I take a tablespoon in water, a couple of hours before bed. When it comes to gluten-free and low-carb cooking, gelatin is awesome for thickening sauces. You will no longer need to use a carby and gluten-filled flour roux to thicken your favorite sauce. To thicken any sauce, add a small amount of gelatin into a cold mixture and mix thoroughly. Slowly add the mixture to sauces you wish to thicken until you get the desired consistency. Be sure to do this slowly, as too much will turn your sauce into a jello! 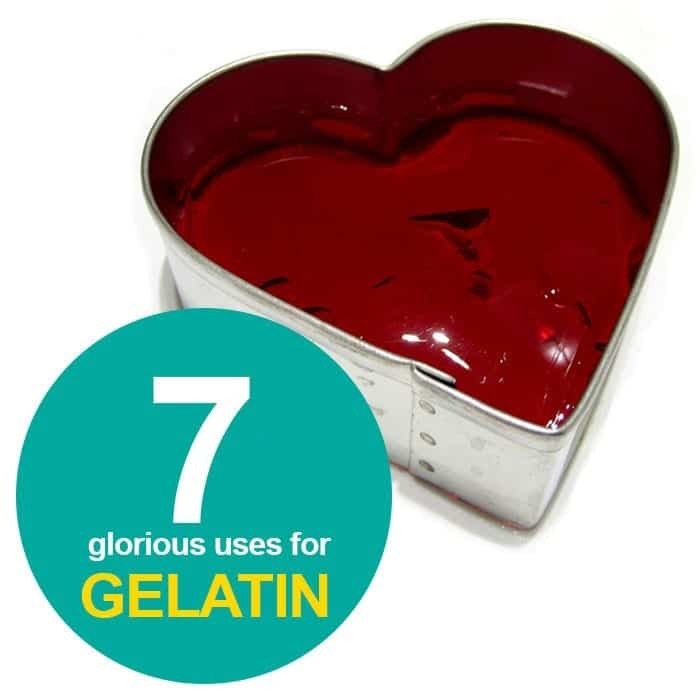 Gelatin has been touted as a beauty remedy for hundreds of years as it has positive effects on hair, skin and nails. I personally have noticed that my nails have gotten thicker. I fortunately don’t struggle with skin problems and my hair is always relatively short to take notice. Many body builders choose to supplement with gelatin because of it’s amino acid profile. While it’s still a controversial subject, some claim that eating gelatin promotes the release of HGH (human growth hormone) which is awesome for shedding body fat and gaining muscle! If you suffer from arthritis or joint aches, taking gelatin regularly can help negate some of this pain. I have found that combining gelatin + turmeric has done wonders on the knee pain I used to experience! Sometimes when you make low-carb or gluten-free breads, the texture just isn’t there. They don’t fold and they don’t have a density that is desired. Adding gelatin can provide this necessary chew and even help with pliability for things like flatbreads and tortillas. What are your favorite uses for gelatin? Comment below!